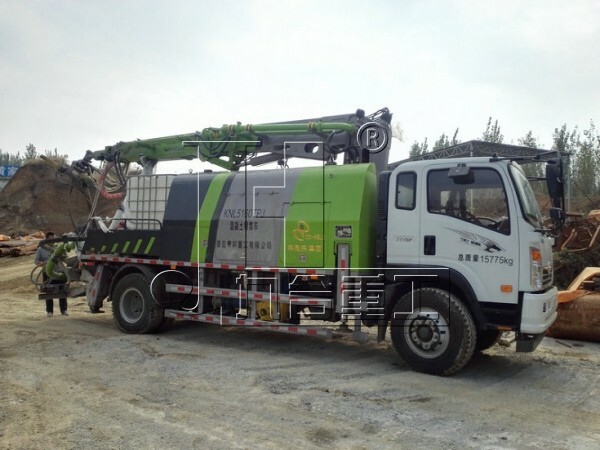 As a new generation truck mounted shotcrete machine, JIUHE Truck Mounted Shotcrete Machine is researched and developed after synthesizing wet shotcrete machine technology domestic and oversea, solving spraying deficiency that traditional small shotcrete machine cannot meet concrete spraying need in long and big tunnel, vastly improving the working environment for workers inside tunnel, increasing working efficiency, reducing concrete consumption, truly ensuring working quality, double power working system, lower carbon emission, Suiting environmental protection concept. 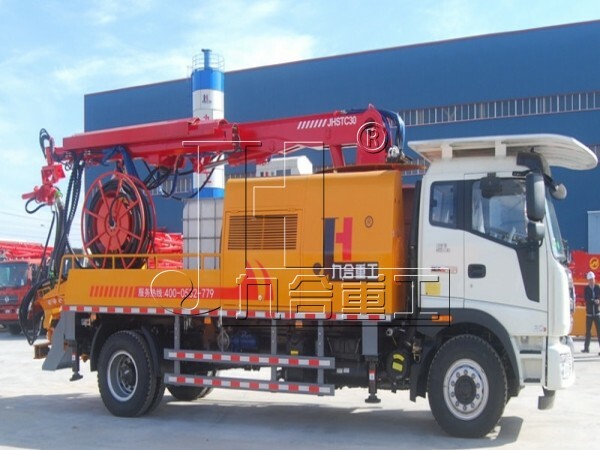 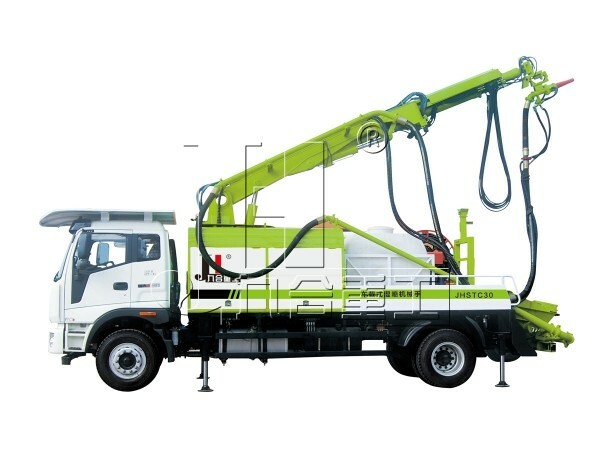 Truck Mounted Shotcrete Machine is best choice for tunnel construction like water conservancy and hydropower, railway, highway and so on. 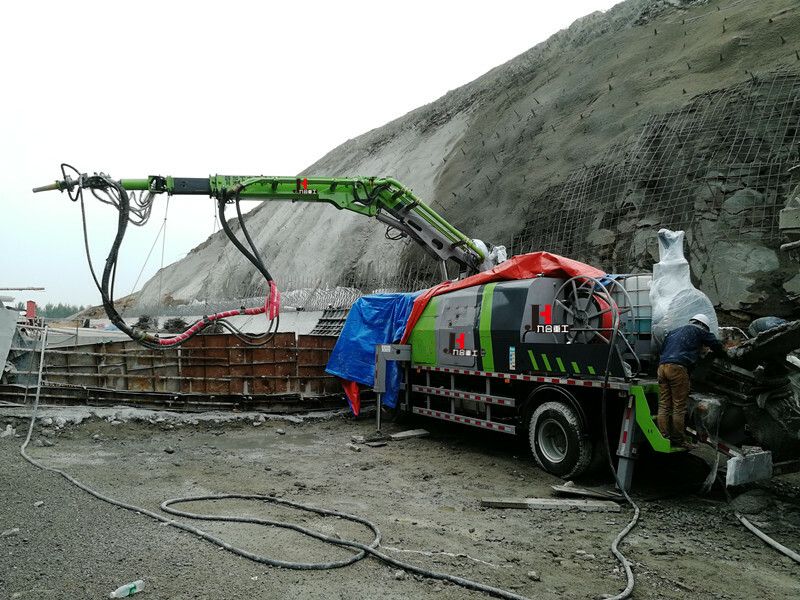 Adopt two stages boom structure with movable slewing support strut, suitable for benching tunnelling method, meet three benches annular digging leaving core, this kind spraying method without working blind angle. 3) Wireless remote control system, improve working environment. 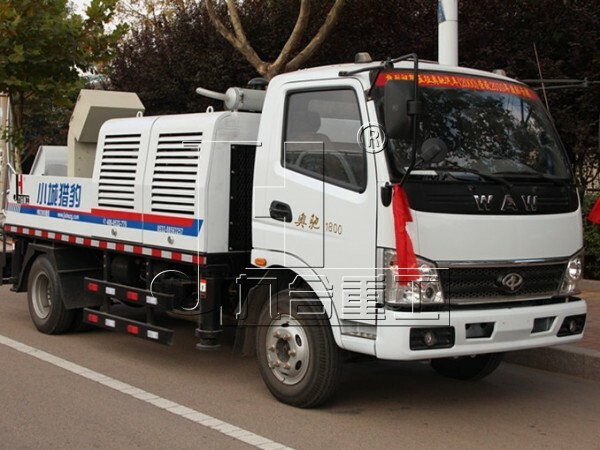 5) Motor and diesel double engine system, can change quickly as per need, well-adapted.